Clay has been used for centuries to purify the skin and remove toxins. Under a microscope clay looks like a giant porous sponge, it attracts toxins and then binds them deep inside the clay ready to be rinsed off the skin. 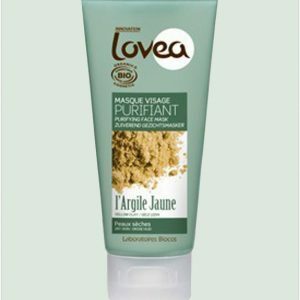 Lovea make 3 different clay masks for sensitive skin, dry skin and oily skin. Choose: Green clay for oily skin, Yellow clay for dry skin or Pink/ Rose clay for sensitive skin. 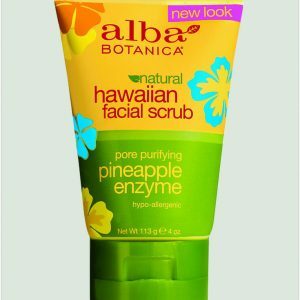 Apply in a thin layer all over the face avoiding eye area. Leave on for 5 minutes without letting the mask dry on the skin. Rinse with warm water and then apply your usual moisturiser or Lovea Pure Oil (Jojoba Oil, Argan Oil, Almond Oil or Borage Oil). How to use: Apply in a thin layer all over the face avoiding eye area. Leave on for 5 minutes without letting the mask dry on the skin. Rinse with warm water and then apply your usual moisturiser or Lovea Pure Oil (Jojoba Oil, Argan Oil, Almond Oil or Borage Oil). 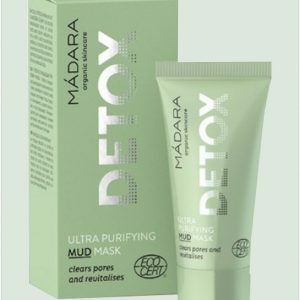 Ingredients: Green Clay: Illite, Aqua, Glycerin, Butyrospermum Parkii (Shea) Butter, Betaine, Cetearyl Glucoside, Cetearyl Alcohol, Corylus Avellane Seed Oil, Aloe Barbadensis Leaf Juice Powder, Caprylyl/Capryl Glucoside, Glyceryl Caprylate, Polyepsilon-Lysine, Benzyl Alcohol, Dehydroacetic Acid, Sodium Usnate. Yellow Clay: Kaolin, Aqua, Illite, Glycerin, Betaine, Butyrospermum Parkii (Shea Butter),Cetearyl Glucoside, Cetearyl Alcohol, Benzyl Alcohol, Glyceryl Caprylate, Caprylyl/Capryl Glucoside, CI77492, Aloe Barbadensis (Aloe Vera) Leaf Juice Powder, Dehydroacetic Acid, Polyepsilon-Lysine Rose/Pink Clay: Kaolin, Aqua, Glycerin, Betaine, Butyrospermum Parkii (Shea Butter), Cetearyl Glucoside, Cetearyl Alcohol, Benzyl Alcohol, Glyceryl Caprylate, Caprylyl/Capryl Glucoside, Aloe Bardanensis (Aloe Vera) Leaf Juice Powder, Dehydroacetic Acid, Polyepsion-Lysine. 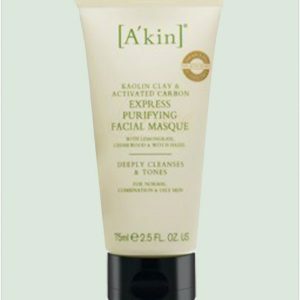 Sukin Facial Scrub is a natural face scrub containing bamboo extract and ground walnut shells to lightly exfoliate with the addition of aloe vera and German chamomile to soothe and relax the skin. 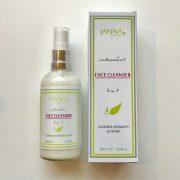 It also contains rose hip, jojoba and sesame to help replenish and protect the skin’s moisture barrier. Directions for use : Apply a small amount to fingertips. In a circular motion, massage into face and neck. Rinse well with warm water. Suitable for all skin types. 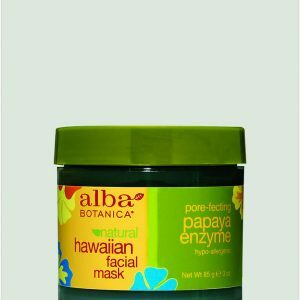 Ingredients : Aqua, Aloe Barbadensis Leaf Juice, Sesamum Indicum (Sesame)Seed Oil, Cetearyl Alcohol (and) Ceteareth-20, Bambusa Arundinacea Powder (Bamboo), Juglans Regia (Walnut) Shell Powder, Glycerin, Simmondsia Chinensis (Jojoba) Seed Oil, Rosa Canina Fruit Oil (Rose Hip), Chamomilla Recutita (Matricaria) Flower Extract, Arctium Lappa Extract (Burdock), Tocopherol (Vitamin E), Phenoxyethanol, Benzyl Alcohol, Citrus Tangerina (Tangerine) Peel Oil, Citrus Nobilis (Mandarin Orange) Peel Oil, Lavandula Angustifolia (Lavender) Oil, Vanilla Planifolia Extract, Linalool,* Limonene. * * Natural component of essential oils. To Grapefruit Uneven Skin Tone Facial Scrub is a gentle daily exfoliator to help slough away dead skin cells and restore your skin's natural radiance. 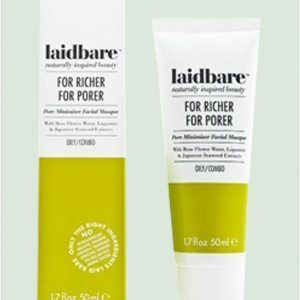 It is formulated with Lemon Balm to help calm and repair damaged skin and Grapefruit, which naturally evens skin tone and enhances luminosity, leaving skin soft, smooth, and naturally hydrated. 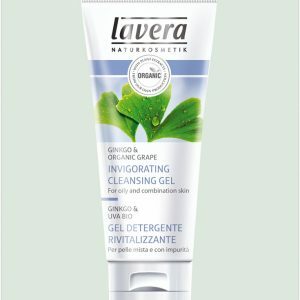 Makes skin brighter, clearer and more radiant! - 99% Natural. - Lemon Balm - A Cleansing Herbal Extract - Grapefruit - A natural source of citrus flavonoids How to Use:Wet face with warm water. 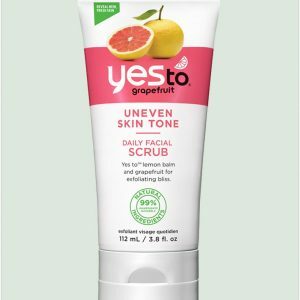 Take a dollop of Yes To Grapefruit Uneven Skin Tone Facial Scrub and massage onto skin. Rinse and be amazed at the radiance Ingredients: Aqua, Decyl Glucoside, Glycerin, Polylactic Acid, Lauryl Glucoside, Xanthan Gum, Glyceryl Oleate, Melissa Officinalis Leaf Extract, Citrus Grandis Peel Extract*, Coco-Glucoside, Helianthus Annuus Seed Oil*, Caprylic/Capric Triglyceride, Parfum, Phenethyl Alcohol, Glyceryl Caprylate, Citric Acid, Limonene. *Certified Organic Ingredient.